CENTRAL VALLEY — Monroe-Woodbury center Jamie Waldron had sweat rolling down her forehead seconds before the game even started against Washingtonville. Her lungs were stuffed with mucus, and her forehead was covered with sweat, but she somehow managed to suit up for the Crusaders. Despite playing with flu-like symptoms, Waldron finished with 20 points, 12 rebounds and 3 assists in a 66-48 win over the Wizards. 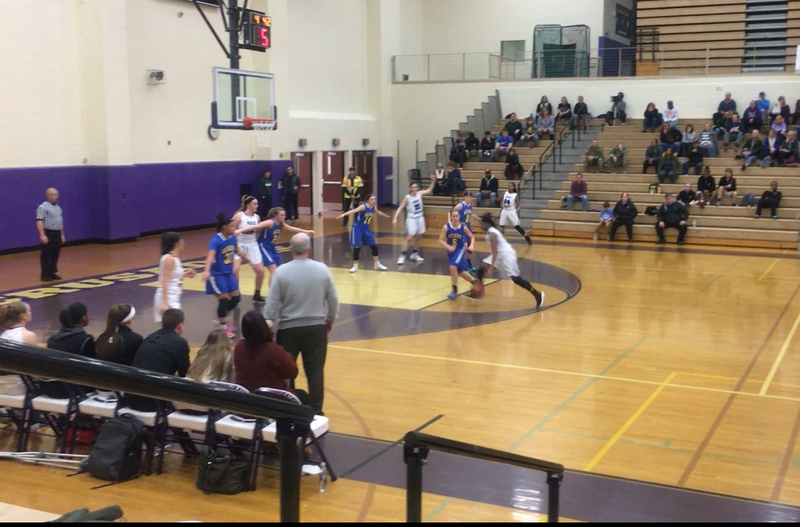 Washingtonville took 24 shots from three-point range, and only made eight, with six coming from Victoria Pecovic, who finished with 20 points. Monroe-Woodbury shot 45% from the field (22/49). They were led in scoring by Taylor Neely with a season-high 24 points, Toni Neely with 13 points and 4 assists, and Melissa Alfano with seven points, 13 rebounds and three assists. Taylor’s 24 points were a season-high for her. She went 8-of-16 from the field, including 5-of-7 on three-pointers. She was happy with her stroke from beyond-the-arc, but knows what she has to work on in the future. Washingtonville beat Monroe-Woodbury twice last season, including in the Section 9 Class AA quarterfinals. Waldron & the Crusaders wanted revenge this time-around.